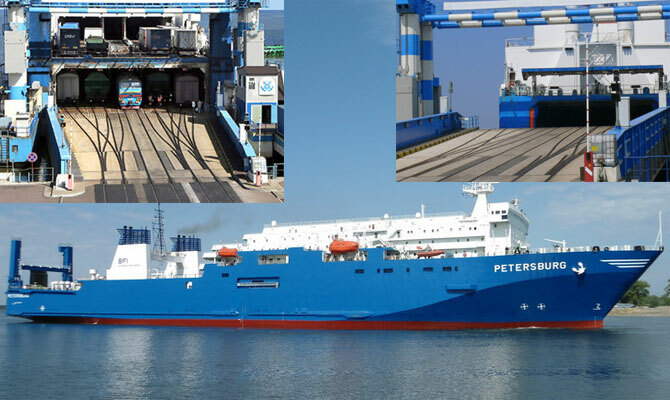 Russian rail ferry PETERSBURG was arrested at Estonian port Paljasaare for debts, including crew wages debts, reported Russian news agency SPUTNIK ESTONIA on Jun 8. Ferry is docked at Paljasaare, Tallinn, since late April, she’s undergoing repairs. Estonian suppliers sued owner for outstanding debts totaling 350,000 euro, plus some 30,000 euro wages debt. The Court ruled in favor of creditors, impounding the ship, which was meanwhile, cut of power supply for 2 days. Rail car passenger ship PETERSBURG, IMO 8311883, GT 25353, built 1986, flag Russia, owner BLACK SEA FERRY & INVESTMENTS – Branch of State-owned RZD Holding – Russian Railways. Capacity 49 rail cars, 200 vehicles, 150 passengers.